For the winter holiday season, we creating special roasts for our customers. We have picked two fantastic regions and farms for our beans. This month our flavors are from Guatemala, Bali and a special formulated blend by our Master Roast, Brian. GUATEMALA HOLIDAY – MEDIUM ROAST Within the spectrum off medium roast we have a wide band from the first popping to the second popping. We pulled this roast at the first popping so it’s on the lighter side of medium, but we are still going to call it a medium roast. The sweet cherry will taste a little sharper, and the toffee notes come through after the finish. If we roasted it closer to the second popping an oaky finish would develop, we will roast this one again for you in the future. Today we roasted it with the season of sweet fruity Christmas cheer. BALI HOLIDAY – MEDIUM ROAST A wonderful cup from just below the Equator, the Bali delivers classic citrus flavor from the citrus trees that shade its growth. We love the citrus undertones and strawberry watermelon nose that offer satisfaction throughout your cups temperature. Try it with a light twist of your favorite citrus and enjoy alongside a delicious breakfast pastry. Great breakfast cup of coffee with holiday friends and family. HOLIDAY BLEND 322 – DARK, MEDIUM & LIGHT ROAST This month we are including a blend that embraces the season sweet, fruity and full of cheer: our Holiday Blend is 322: 3 parts Columbia, 2 parts Bali, 2 parts Sumatra. The Sumatra roast brings the sweet notes, blended with the Bali and Columbia for the citrusy and baker’s chocolate flavors. 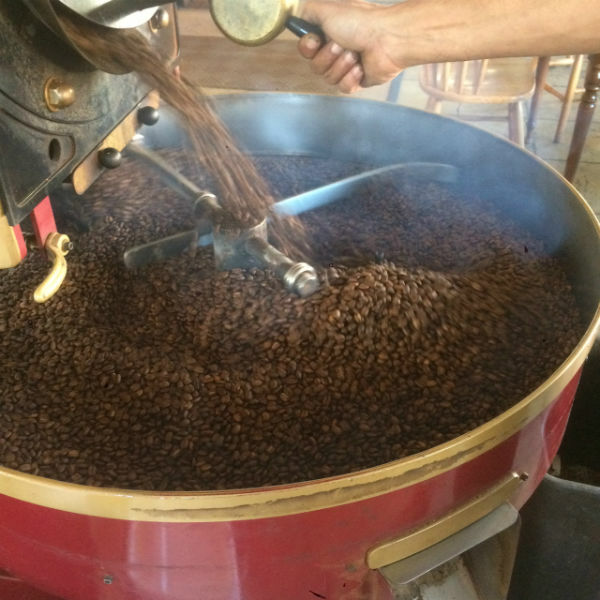 Most coffee blends are made by mixing various green bean varietals, then roasting together for a single type of roast. Coffee Method Blends are unique in comparison to others as our blends are comprised of individually roasted beans before mixing them together. We believe a true coffee blend should have at least 3 distinct bean colors, marking the various roasts. This method preserves the distinct notes from each bean and roast profile—resulting in a more complex nose from the variety of flavors.The goal of our blends is to create a cup of coffee that stands on its own without having to add cream or sugar.